Pioneers in the industry, we offer snack food packaging material pouches, noodles packaging materials and dry fruits packaging material from India. Snack Food Packaging Material is developed in matching with the packaging demands of snack food industry. Here, our expertise lies in making use of new and updated technology support to offer highly competitive solutions. Further, we also ensure these matches up with demands of customers looking out for quality packaging materials and exclusive design patterns to meet their product packaging needs. 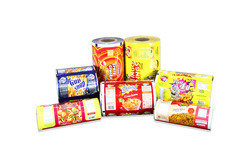 We are the manufacturers and supplier of the Noodles Packaging Materials. We are the manufacturers and supplier of the Dry Fruits Packaging Material.